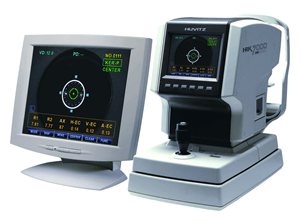 The Huvitz Auto Refractor HRK-7000A offers a Retro-Illumination Mode for abnormal crystalline lenses, cataracts, and scratches of corneas. With increased REF power of the Huvitz Auto Refractor, you also can check Sph, Cyl, and Axis that cannot be measured in the normal mode. 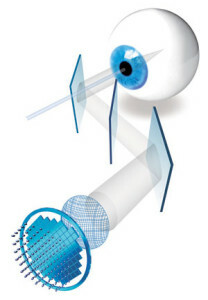 Unlike many conventional Keratometer diagnostic devices, this series utilizes a unique wavefront technology algorithm based on Hartmann-Shack wavefront sensor, which analyzes many focal spots of a light wavefront. It has the ability to measure not just the basic refraction error of a customer, but to obtain a spatially resolved refraction map of the wavefront.